Known to disrupt our normal hormonal balance, phthalates have been linked with a number of health problems. Here's how to keep them away from you and your loved ones. Phthalates are also called “plasticizers” because they are used to make plastics more flexible and resilient. This family of chemicals is also used in food packaging, detergents, lubricating oils, wall coverings, vinyl flooring, and pharmaceuticals. In cosmetics, phthalates are used to help other ingredients adhere to a particular surface. Phthalates in nail polish, for example, help the polish cling to the nail and resist cracking. Phthalates in hair sprays allow them to form a flexible film on hair that doesn't feel stiff. 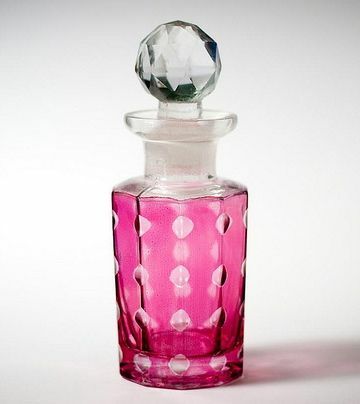 Phthalates in perfumes and fragrances help the scent cling to your skin. Phthalates are also used as solvents, which are chemicals that dissolve other ingredients. According to a report by the Centers for Disease Control and Prevention (CDC), scientists measured 13 phthalate metabolites in the urine of over 2,500 participants who took part in the National Health and Nutrition Examination Survey during 2003-2004. They indicated these findings showed widespread exposure to the chemicals in the U.S. population, with adult women having higher levels than men for those phthalates used in soaps, body washes, shampoos, cosmetics, and similar personal care products. Perhaps even more startling were the findings by the American Academy of Pediatrics, which showed that infants exposed to infant care products, specifically baby shampoos, baby lotions, and baby powder, showed increased levels of phthalate metabolites in their urine. What are the Concerns with This Ingredient? The concern with phthalates is that they have the ability to mimic human hormones. They're one of the so-called “endocrine disrupting” compounds, which have been shown to cause health problems. According to a report by the University of Maryland, animal and human studies have shown that exposure to phthalates may cause reproductive abnormalities, decreased testosterone production in boys, and decreases in male fertility. Some studies have indicated a connection between phthalate exposure and the exacerbation of asthma or lung problems and even skin allergies. Other studies show a link between phthalates and premature delivery and endometriosis in women. A study published in 2007 even found a link between the level of phthalates in the urine and waist size and insulin resistance in U.S. males, raising the question—could phthalates have something to do with our current obesity epidemic? Phthalates are in a lot of products that surround us every day. You don't have to apply them your skin, hair, or nails, however, and you don't have to use them on your children. 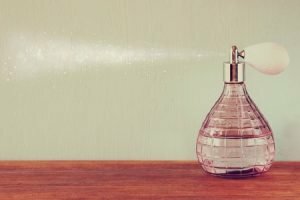 Stick with fragrance-free products (or those that are scented naturally with essential oils or other natural scent sources), and read the ingredient lists on your personal care products. If you see any of the following there, that indicates the product has phthalates—avoid it! Are you concerned about phthalates? How are you avoiding them? Phthalates, Environmental Working Group. http://www.ewg.org/chemindex/term/480. Phthalates and Cosmetic Products, U.S. Food and Drug Administration. http://www.fda.gov/cosmetics/productandingredientsafety/selectedcosmeticingredients/ucm128250.htm. Factsheet: Phthalates, Centers for Disease Control and Prevention, http://www.cdc.gov/biomonitoring/Phthalates_FactSheet.html. Report on Public Health Concerns—Phthalates and Bisphenol A. Addressed to the Public Health Subcommittee, Health and Government Operations Committee of the Maryland General Assembly. http://www.umaryland.edu/bin/y/h/Phthalates_and_BPA_FINAL.pdf. Richard W. Stahlhut, “Concentrations of Urinary Phthalate Metabolites are Associated with Increased Waist Circumference and Insulin Resistance in Adult U.S. Males,” Environ Health Perspect 2007 June; 115(6): 876-882. http://www.ncbi.nlm.nih.gov/pmc/articles/PMC1892109/?tool=pmcentrez. Photo courtesy AndanteFilms via Flickr.com.